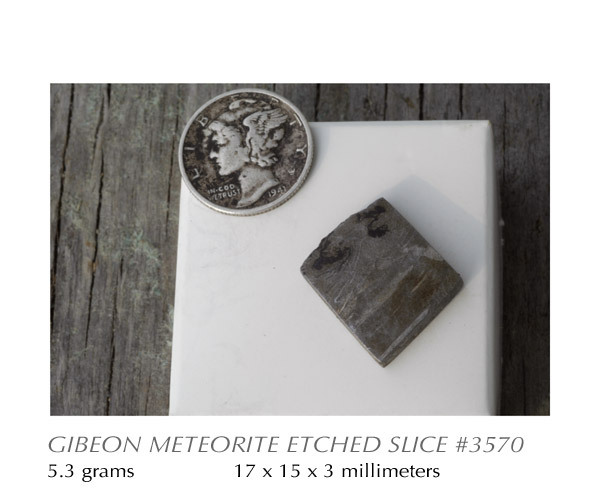 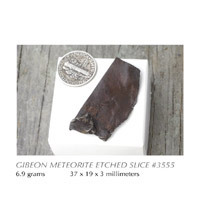 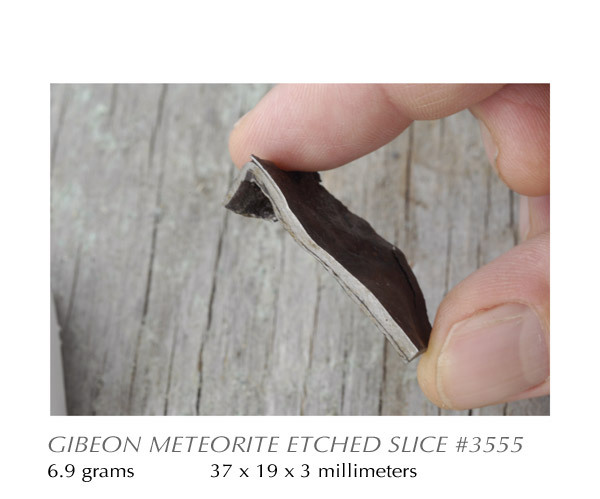 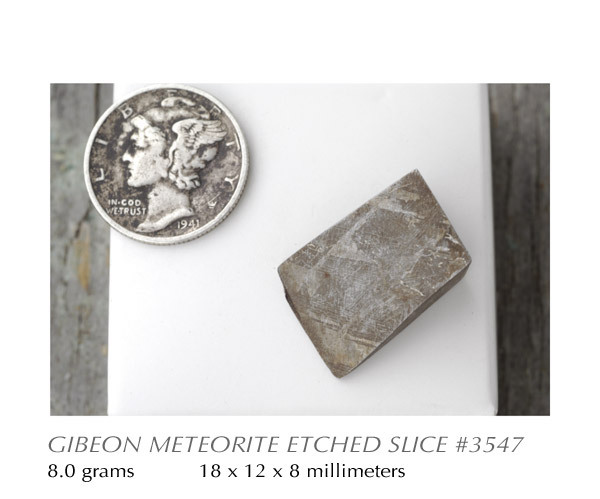 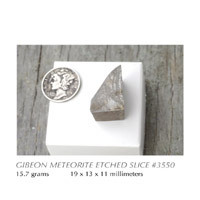 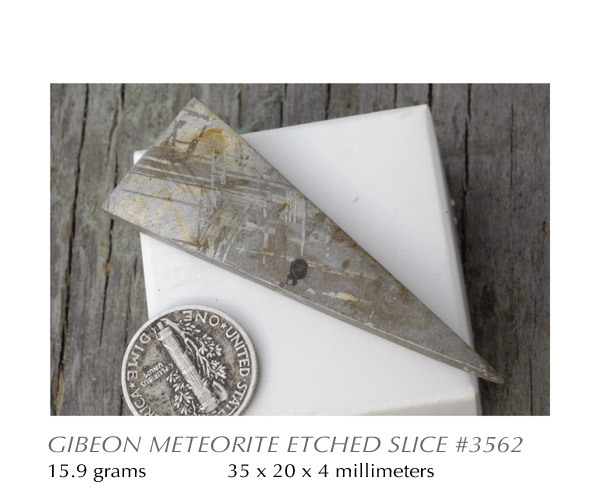 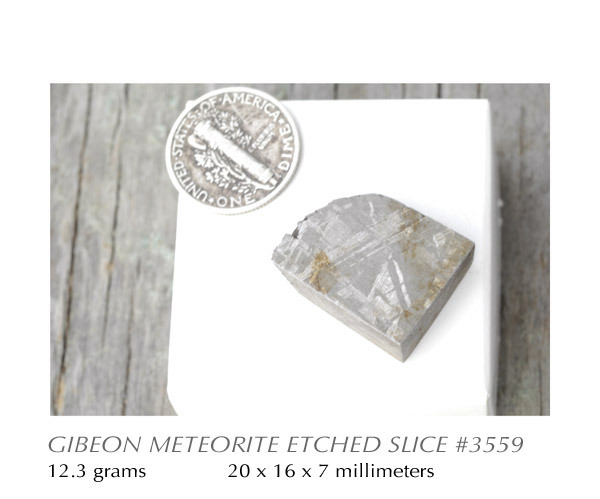 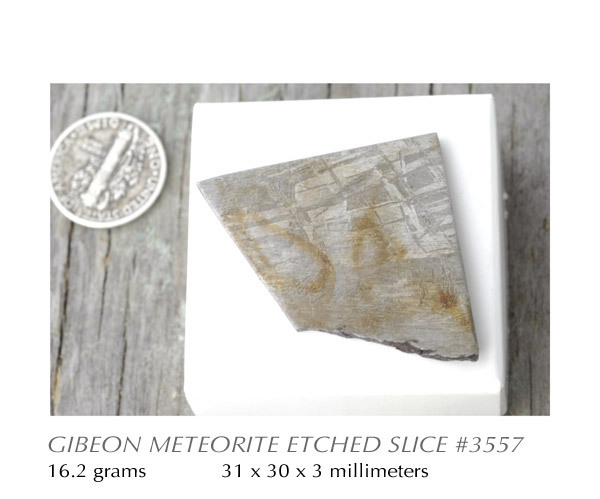 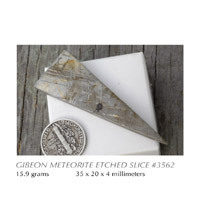 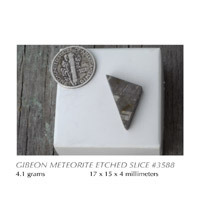 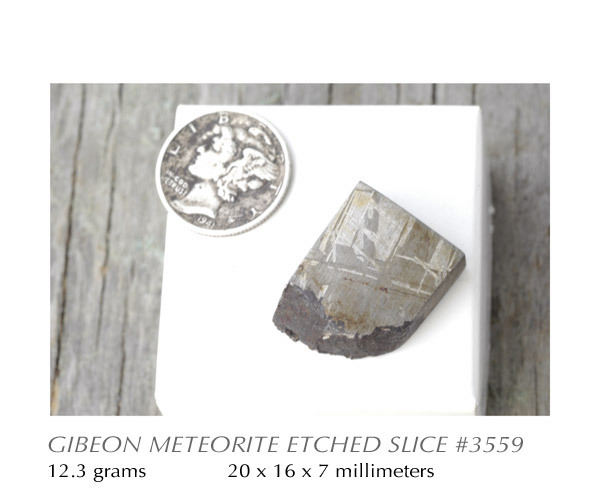 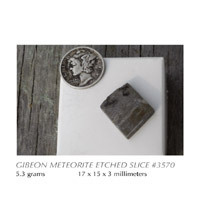 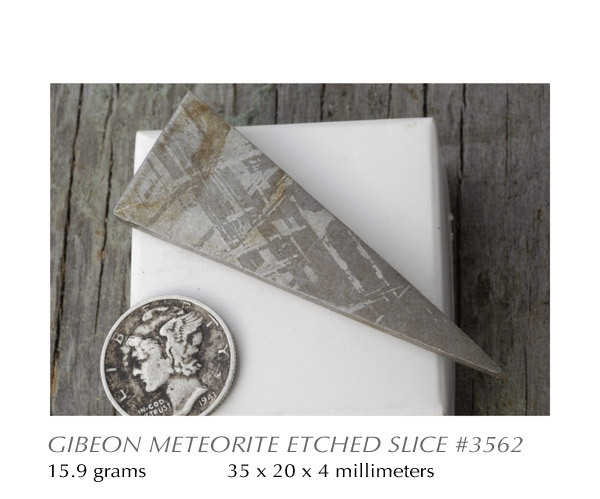 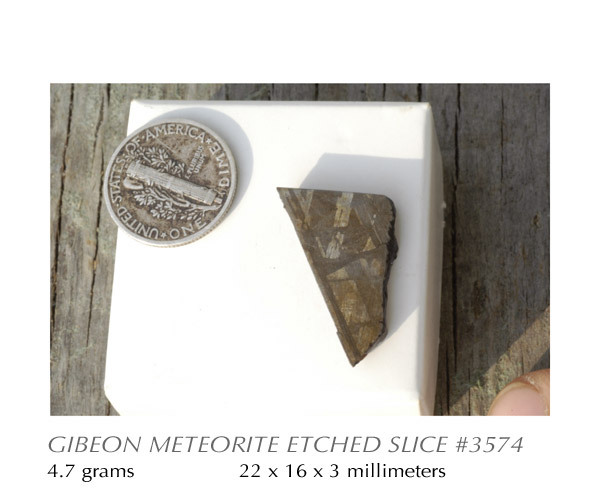 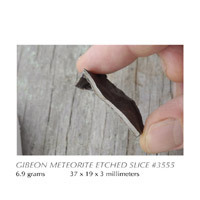 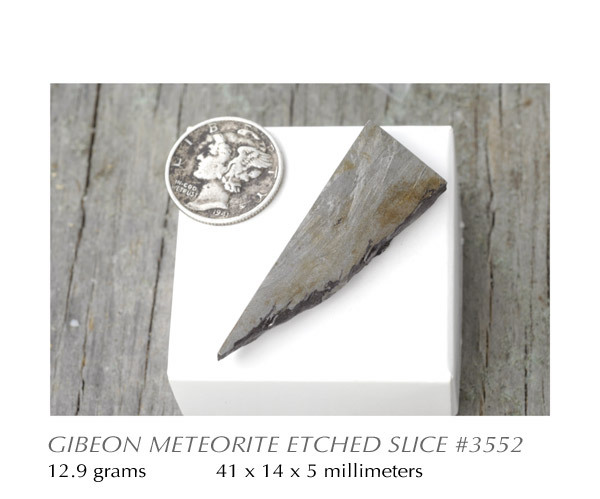 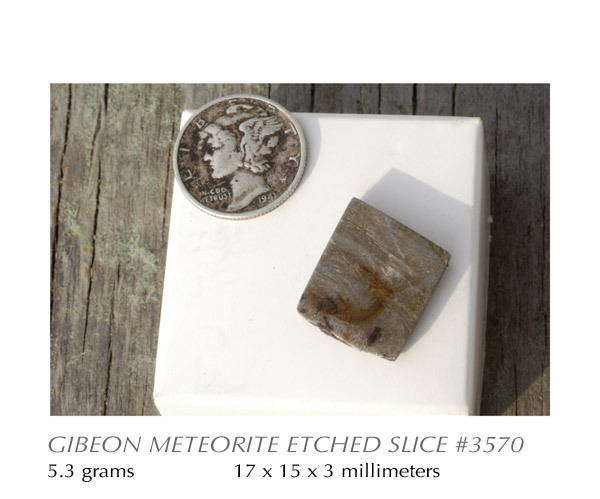 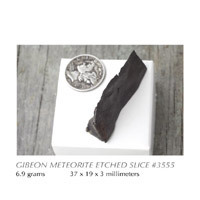 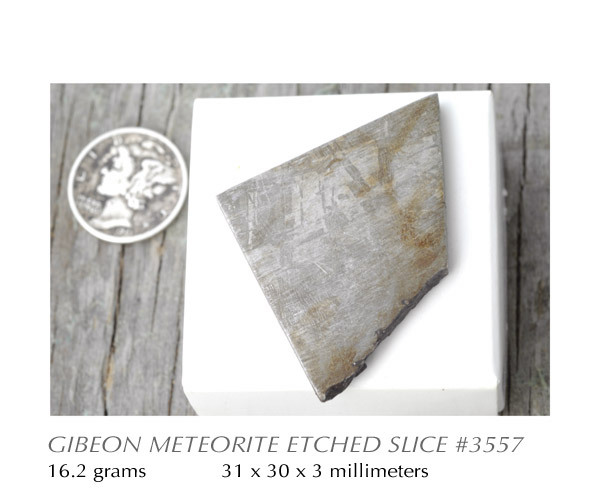 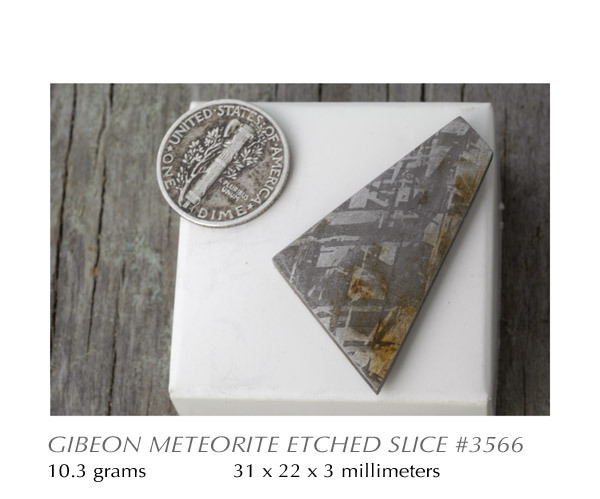 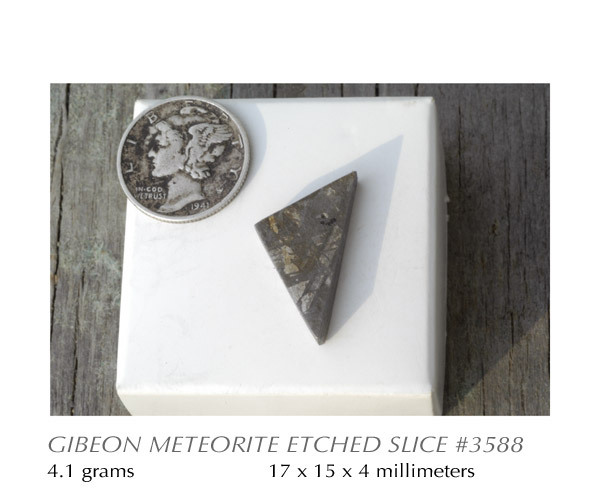 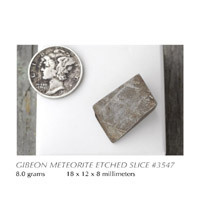 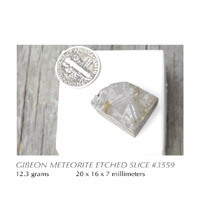 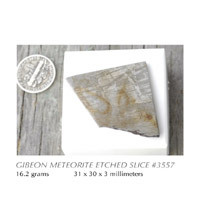 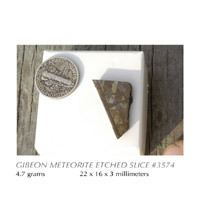 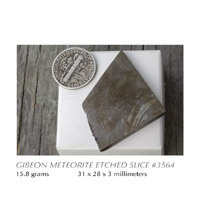 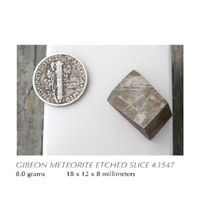 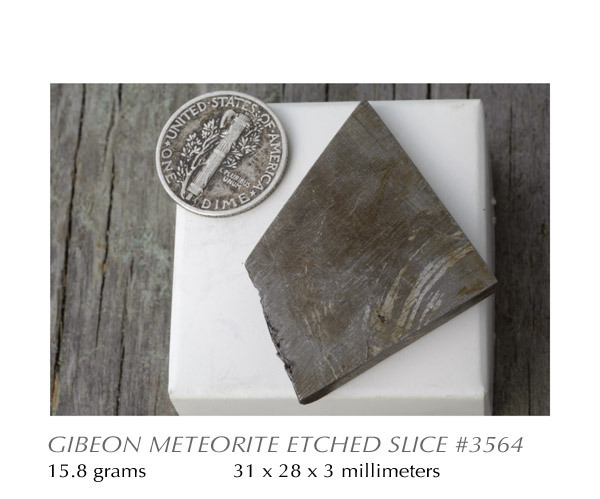 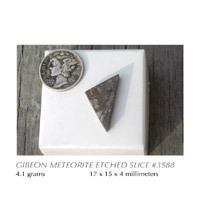 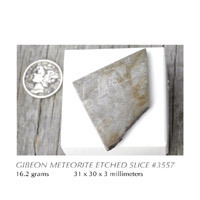 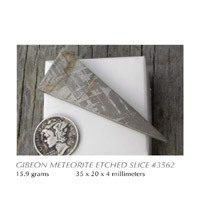 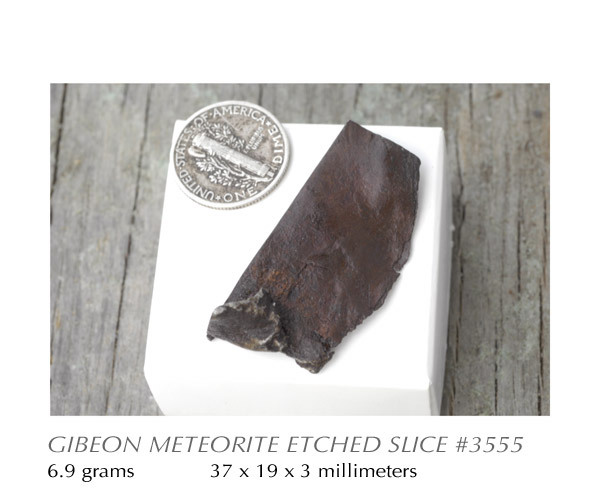 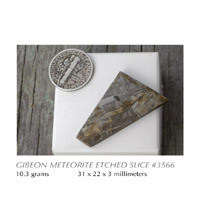 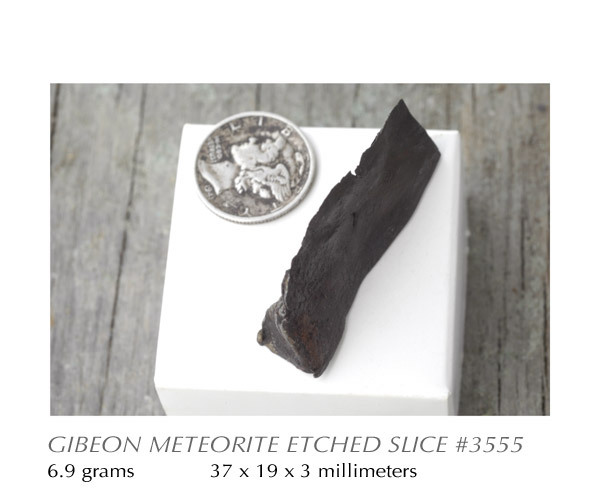 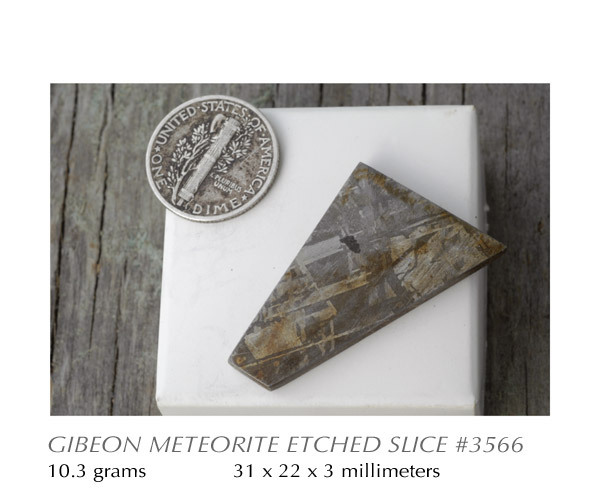 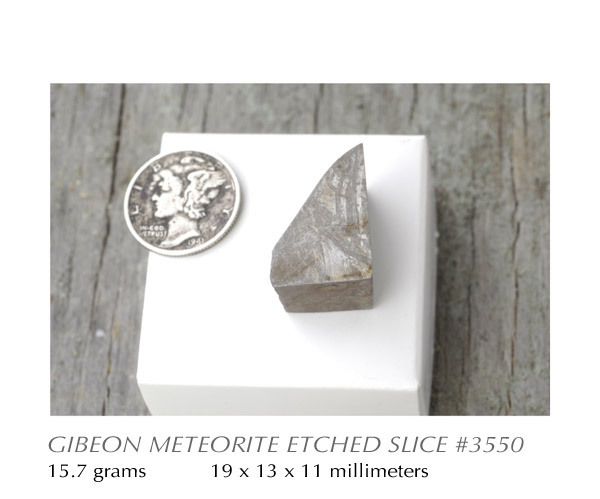 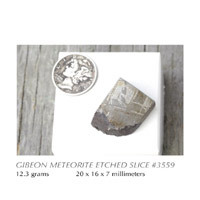 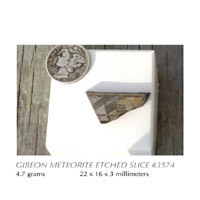 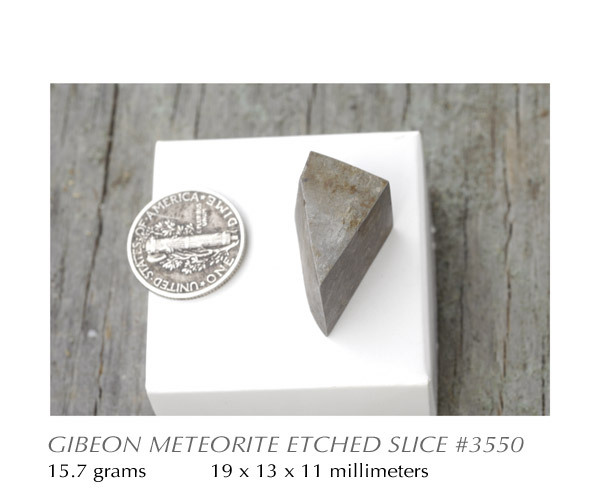 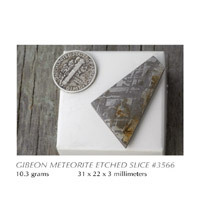 Gibeon Meteorite in its original form. 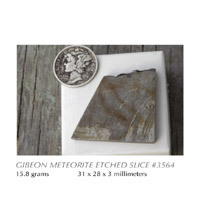 The Shapes are cut from fragments of these. 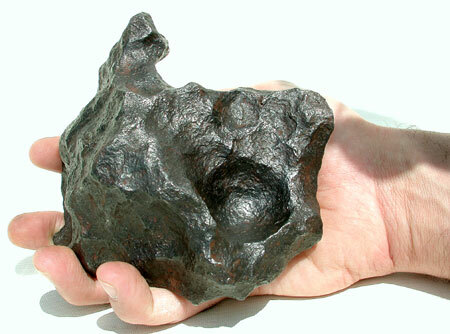 This meteorite is not for sale! 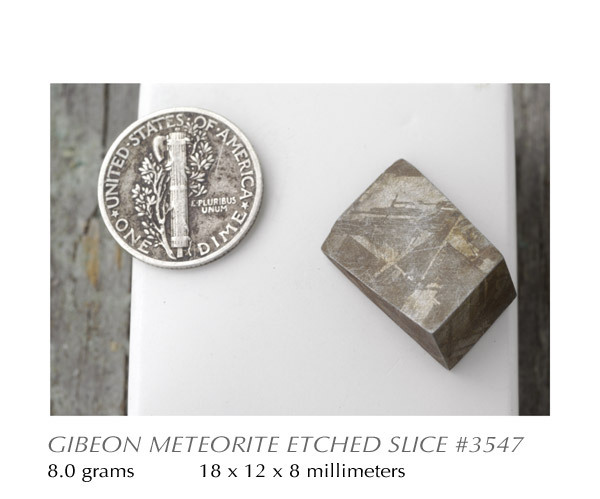 Apparently a large meteorite burst high in the atmosphere and fragments landed in the Gibeon desert in Namibia, Africa. 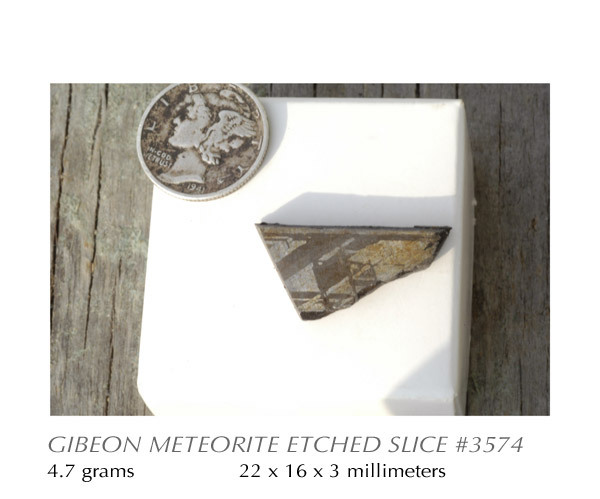 The Gibeon meteorite fragments are spread over a strewn field 70 miles (120 km) wide by 230 miles (390 km) long--one of the largest strewn fields in the world. The Widmanstatten crystalized pattern of the nickel-iron provides undisputed proof among those who study meteorites that the material is not of earth origin. 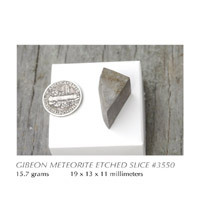 Each of these shapes has been polished from a Gibeon Meteorite fragment.